Paper Middle East Exhibition 2018, Pulp&Paper Industry Exhibition. PAPER-ME is successfully developed through years. In its 10th edition, PAPER-ME 2018 reaches 10 000 sqm gross area with 25% larger than last edition. Exhibitors from: Egypt, Amman, Qatar, Tunisia, Morocco, Libya, Saudi Arabia, United Arab Emirates, Kuwait, Jordan, Syria, Lebanon, Sudan, Kenya, Nigeria, Germany, Italy, France, United Kingdom, Czech Republic, Austria, Greece, Turkey , the United States, Thailand, India, China, Taiwan and Hong Kong and other countries and regions. 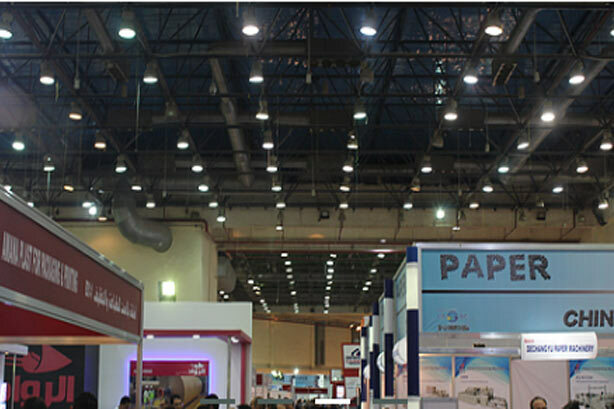 The largest paper industry forum in the Middle East will also be held during the exhibition. Zhengzhou Leizhan will also participate in the PAPER-ME. Our sales manager will at the exhibition and introduce our pulp&paper machine for visitors and answer the questions. We also welcome to contact with us in advance, so that we can prepare for you .